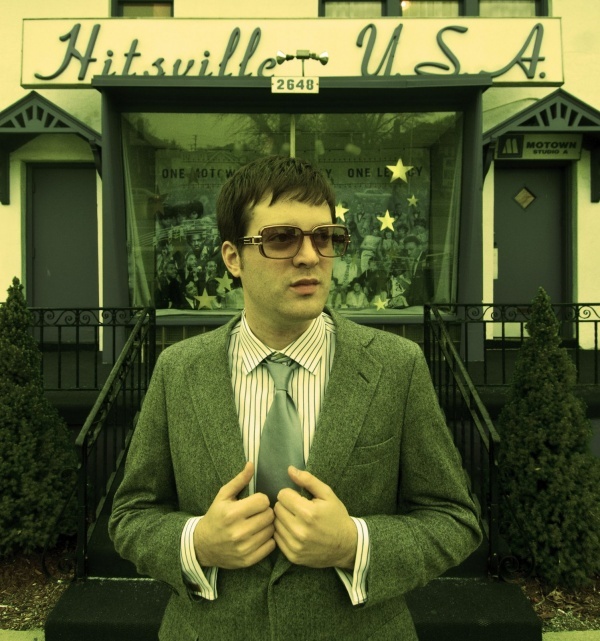 Mayer Hawthorne is, above all, a breath of fresh air. Taking cues from Smokey Robinson and other â€˜60s Motown legends, his music is a revelation â€“ it manages to reinvigorate the classic soul sound with a modern flavor entirely his own. With his Stones Throw debut, A Strange Arrangement, set to drop this fall, Hawthorne seems poised to take the music world by storm with his earnest, catchy songs and quirky individual style. Format: Youâ€™re often pegged as â€œretroâ€, but there is something distinctively contemporary about your music. How do you take that timeless Motown sound and bring it into the 21st century? Mayer: Well, I think it just happens naturally for me because I wasnâ€™t even alive in the â€˜60s. I grew up in the 80s, listening to hip-hop music. I think I didnâ€™t really have any choice in the matter. I could never create a strictly retro album because I wasnâ€™t even around then. I think my music is naturally reflective of the era that I grew up in. Itâ€™s definitely inspired by Motown and â€˜60s soul, but itâ€™s updated for a new generation. Format: What is it about soul that captivates you most? Mayer: Man, thatâ€™s a tough question. Itâ€™s always sort of resonated with me. I donâ€™t know if itâ€™s where I grew up, just outside of Detroit â€“ that might have something to do with it. Soul music is some of the most heartfelt music around. They call it â€œsoulâ€ because it really comes from the soul, and thatâ€™s why itâ€™s so powerful. Format: Youâ€™ve said before that the legendary songwriting team Holland-Dozier-Holland is one of your greatest influences. When writing your music, is there anyone you consistently collaborate with or turn to, or is it strictly a solo undertaking? Mayer: I wrote all the songs on the album except â€œMaybe So, Maybe Noâ€, which is a cover of a classic Detroit record, and I played the majority of the instruments on the album. I try to do as much of it as I can and it helps me to get the sound that Iâ€™m hearing in my head translated on the tape. Format: I know you recorded â€œJust Ainâ€™t Gonna Work Outâ€ in your bedroom at home â€“ was that where you wrote and worked the rest of the album? Mayer: Yeah, I recorded almost everything in my bedroom. I never sit down and try to write a song, they usually just sort of come to me when Iâ€™m like driving, or flying, or grocery shopping or whatever. Format: Tell us about A Strange Arrangement, and what we should expect. Mayer: Iâ€™m a super perfectionist in the studio, and I take the songs and music very seriously, but at the same time I have a lot of fun doing it and the album is a lot of fun. Itâ€™s definitely heavily influenced by classic soul and Motown, but it also sounds new. Thereâ€™s something on there for everybody, and Iâ€™m really excited for people to hear it. Format: In addition to your solo work, you produce and record hip-hop beats. Do you think that side of your music will ever become more prevalent on your records? Mayer: I think itâ€™s kind of already there. The hip-hop influence is definitely heavy on my album. Itâ€™s something thatâ€™s impossible for me to turn off because Iâ€™ve always been such a hip-hop head and Iâ€™ve been a hip-hop DJ and producer for most of my life. I think that element of it is always there for me. Iâ€™m still working on hip-hop music, too â€“ thereâ€™ll be more of that coming soon. Format: Youâ€™ve also made a couple awesome podcasts for Stones Throw that are made to sound like vintage â€˜60s radio shows. How much fun was it to put those together? Mayer: Those are a lot of fun, man â€“ I really had a lot of fun doing those. Hopefully I can keep doing more of them. They let me bring out a lot of the DJ side of me. It lets people that donâ€™t really know me find out that Iâ€™m actually a DJ as well and not just a singer. Format: Are the retro commercials in your podcasts real or do you guys make them yourselves? Mayer: [Laughs] Nah, most of them are actually real â€“ theyâ€™re just kind of collected from wherever I can find them. I recorded a couple little jingles myself, but all those commercials are real. Format: For someone who never intended to be a singer, how weird did it feel for Peanut Butter to sign you after only hearing two songs, and getting praise from people like Gilles Peterson and Mark Ronson? Mayer: Itâ€™s sort of like a fantasy land. Itâ€™s really been unbelievable. 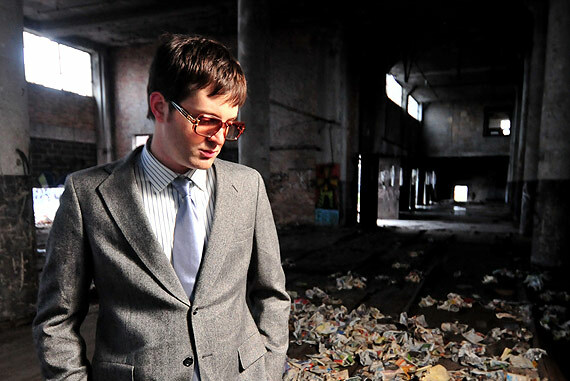 I never would have imagined in a million years that I would get to where I am today with Mayer Hawthorne music. At the time that I recorded the first two songs, I never had any plans to even record a full album of it. I was mainly just doing it for fun on the side as an experiment. 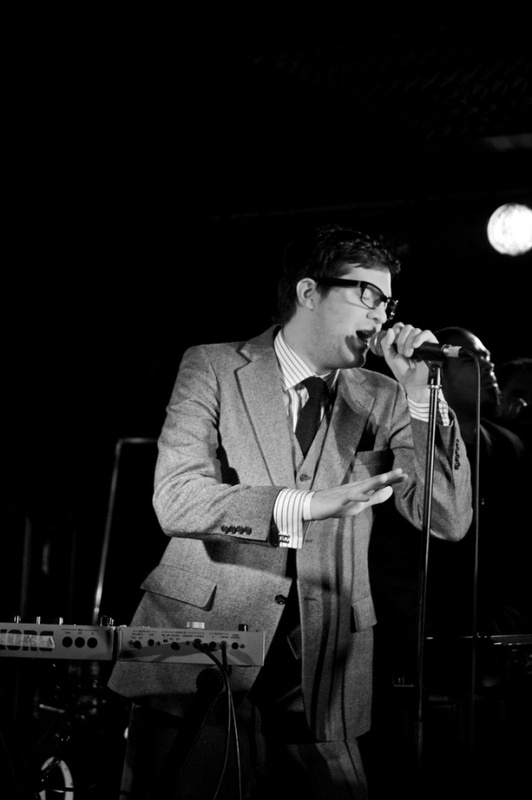 Iâ€™ve had to kind of suddenly switch gears and really develop this Mayer Hawthorne style. Itâ€™s been a crazy experience, but itâ€™s also been a lot of fun. Format: So everything sort of just happened naturally for you â€“ it all just kind of clicked. Mayer: Yeah, I try to do everything as naturally as possible and just let it flow, because thatâ€™s how the first two songs came about. They just kind of happened. It was all very spontaneous, and natural and fun. Iâ€™ve tried not to over think anything for this project and just do what comes naturally â€“ what feels right. Format: Youâ€™re known to be an avid vinyl collector. Any gems in your collection that youâ€™re particularly proud of? Mayer: First of all, yeah, for sure â€“ I am a super big vinyl record junkie geek. I dig any chance that I can get. Iâ€™m always buying new records all the time, as many as I can get. Every record in my collection has a story behind it, whether its how I came across that record, or who introduced me to that record, or what I was doing the first time I heard that record. Thatâ€™s part of the charm for me and what makes it so endearing. Format: Spoken like a true vinyl junkie. Mayer: Yeah, itâ€™s hard for me to pick out individual records because there are so many and every one has a unique story, you know? Format: Definitely. Outside of soul, whatâ€™s inspiring you right now? Mayer: Ah man, I listen to all kinds of music. I really liked the new The Bird and the Bee record; I thought it was fantastic. Iâ€™m a really big fan of this Norwegian songwriter named Hanne Hukkelberg. Iâ€™m a big fan of what Dam-Funk is doing, and James Pants and the other Stones Throw Family. I still listen to a lot of hip-hop â€“ Buff1, whoâ€™s my favorite MC, just put out a great album that I love. Format: How was your experience on the Stones Throw tour? Format: For me, one of the most interesting about your music is that even though itâ€™s inspired by an earlier era, it still sounds completely fresh. I think thatâ€™s a big part of what people like about you. Mayer: Well hey, thatâ€™s a good a compliment as I can get â€“ thatâ€™s all I can really hope for. Iâ€™ve tried to let this project develop as naturally as possible, so itâ€™s always amazing for me to hear that people really connect with it. Format: Where do you think your career will take you next? Mayer: Iâ€™m just really excited for people to finally hear the record. Whatever happens, Iâ€™m always going to be writing music, and Iâ€™m just thrilled with where itâ€™s taken me so far. doesn’t anyone else feel that Mayer is biting off Raphael Saadiq’s album “The Way I See It”? (most under rated album of 2008 & 2009!! M. Case: Mayer & Raphael are just two artists out of thousands working with a 60s soul sound. Saadiq deserves respect for being one of the first to do the throwback thing, definitely. A breath of fresh air? I don’t know, thought the album was kind of boring. But it’s always nice seeing people going for what they love. I just heard of him from seeing him live yesterday, he opended up for Ghostface. He killed it and made me want to buy his album for sure. Much Respect. i can’t believe this article is calling this guy a breath of fresh air! Saadiq and a hundred other brown guys are killing it way more than this guy. They have better crafted songs and better arrangements. I wonder what makes him so special? there are thousands of rehash/cover bands. is music so bland and boring that people find this guy interesting?